Ninja Tortles? Yes, please! A New Supplement Allows Us to bring TMNT to D&D. If you know me at all, you know that as soon as Wizards of the Coast released Tortles as a playable race, my mind immediately went to rolling up the Teenage Mutant Ninja Turtles as PCs. What follows is a quick and dirty outline of how I’d do it myself as well as what I’d allow in a game I’m DMing. Not everything is RAW (rules as written). Some stuff is adjusted to better fit one of the heroes in a half shell. I also pull in some Unearthed Arcana (UA) and will link to those PDFs where applicable. It is also important to note that while I’m well aware of the TMNT as they first appeared in the comics, I framed the following builds off of the more pop-culturally known versions–with their distinctive colored bandanas and personalities. Leo has several defining characteristics: He’s the most disciplined of the four, the most tactically minded, and the de facto leader of the bunch. I’d roll him up as a Fighter and have him adopt the Battle Master Martial Archetype at Level 3. This grants him four Superiority Dice and three Maneuvers (with more of each acquired at later levels). These three are all about coordination and teamwork; each affecting at least one of his brothers instead of just himself. 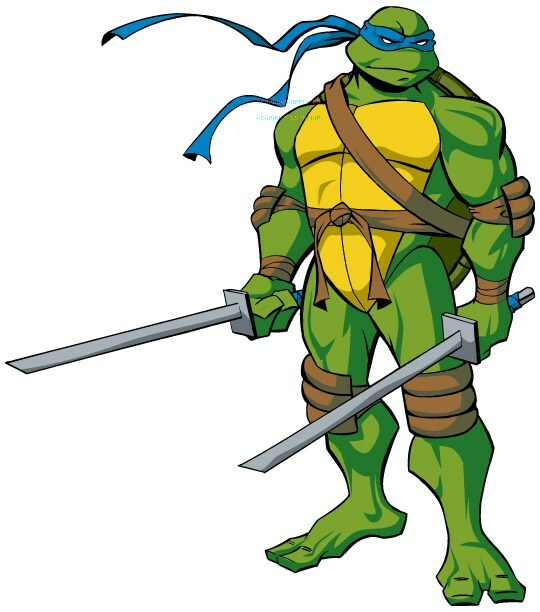 For his Fighting Style, I think a fair argument could be made for Two-Weapon Fighting (with swords, duh), but I’d really want to play up his care of the other three Tortles so I’d have him take Protection instead. Good ideas for feats at later levels include Defensive Duelist, Dual Wielder, Inspiring Leader, and Sentinel. 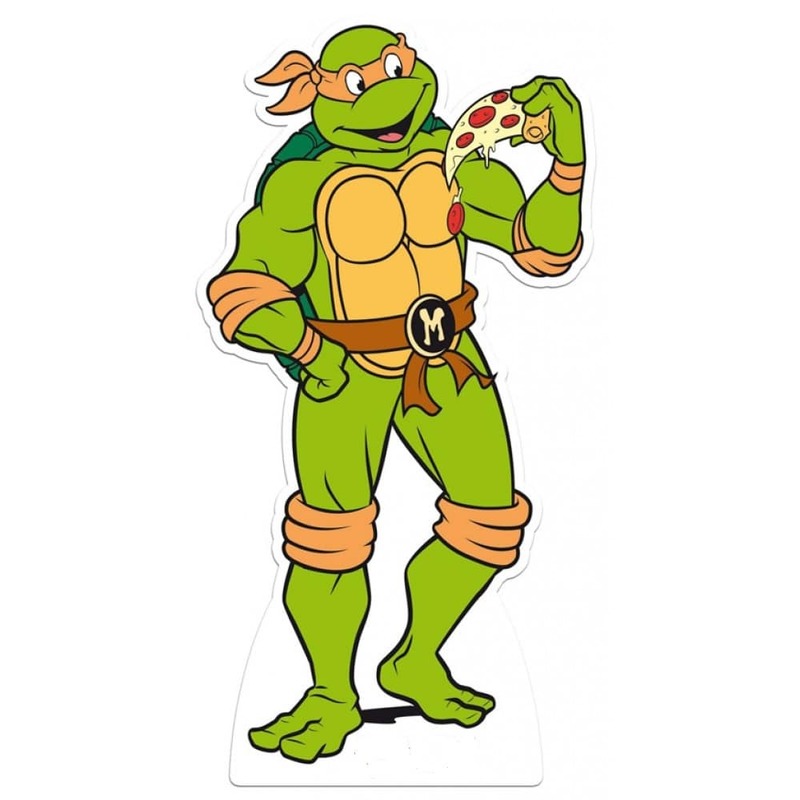 Raph is headstrong, works on a short fuse, and is definitely the brawler of the Ninja Turtles. He’s our Barbarian. At Level 3, he takes The Path of the Berserker, making him all the more frightening when he enters a Rage. I particularly love the extra attack that gives him at Level 3 (Frenzy) and the eventual Intimidating Presence (Level 10) which allows him to impart the frightened condition. While frightened, his enemies have disadvantage on all ability checks and attack rolls so long as Raph stays within sight because they’re quaking in their boots! Good ideas for feats: Charger, Savage Attacker, Tough, Dual Wielder, and even Martial Adept which grants him two Maneuvers from the Battle Master list. For him, I’d go with Goading Attack and Disarming Attack – the second because the prongs of the sais could be used to twist a weapon from a foes hand. Flavor rocks! Speaking of sais, I’d hook him up with a pair of medium sais from this here handy page (1d4 piercing) with the option to increase that damage later – perhaps with some magic. I might even be talked into the +4 to disarming bit if they go Martial Adept + Disarming Attack! Michelangelo is the heart of the TMNT. He’s jovial, quick-witted, and incessantly encouraging. Mikey is 100% a bard. Charisma would not be his dump stat. It’s going to be his main stat, for sure! 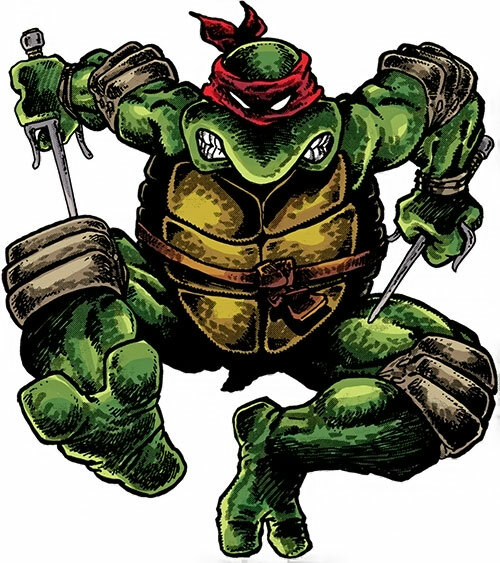 We’re going to arm Michelangelo with two nunchakus (1d6), and at third level, we’re going to get into some Unearthed Arcana and change a thing or two for flavor and awesomeness’s sake. Mikey’s going to attend the College of Swords, only all of the perks of that school will apply to his trademarked nunchakus. He’ll definitely adopt the Two-Weapon Fighting Style and rely heavily upon all of the Flourishes described in combat. His cantrips will undoubtedly be Minor Illusion (’cause he’s a prankster) and Vicious Mockery (’cause he’s a jokester). The spells he acquires are negotiable. Possible feats for the party dude: Actor, Lucky, Spell Sniper, and War Caster. Donatello is the nerd, the techie, the mechanic, the tinkerer. We’re going UA with him, as well. Proficiency with simple weapons. Important as he’s definitely going to be rocking his bo staff (quarterstaff). Several tool proficiencies (and at 2nd level those proficiencies are doubled). The ability to invent things…like magical items and a stinkin’ gun. That’s right. Donnie is going to take the Gunsmith path granting him nifty tricks like the cantrip mending (fixers gotta fix) and a Thunder Cannon (read: gun) that gains new abilities at higher levels. Someone has to bring some range to this party, anyway. I mean, sure; most of them can use things like a crossbow of some kind…but why not let Donnie have a gun?! It fits. 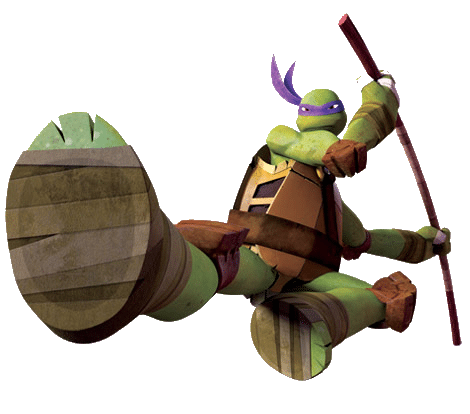 Feats to consider for Donatello include Alert, Keen Mind (Intelligence is definitely going to be his main stat), Linguist (’cause he’s a nerd), Polearm Master (for some extra fun with his quarterstaff), and Sharpshooter. Yes, there’s a lot of stuff that is “off book” in these builds. Yes, some of that “off book” stuff is made even more so by some creative liberties. But, gosh darn it, this would be fun! I think these options accurately reflect the four brothers (according to their more popular depictions and characterizations), and I 100% want to play a campaign starring them and would 100% DM a game featuring them at the party of PCs. Maybe even do some multiclassing with Rogue or Monk? The possibilities are nearly endless and infinitely fun! Click here to get the “Tortle Package” that allows the Tortle as a playable race in D&D 5e.